How Do We Know Someone Is Credible Within Seconds Of Meeting Them? We are hard-wired to pick up on credibility. The first impression in the basic survival instinct asks, "Can I trust this person? Can I feel safe in his or her presence? Is he or she going to pull a knife out? No, I can believe what I'm seeing as the real thing." Credibility is vital and primary. The people who come into our lives influence us and we influence every person that comes into our life negatively or positively. If you think you have the power and motivation to change your life, create a more positive impression and make a positive difference in others, you must know that part of the process of your growth is realizing how every person you come in contact with be it stranger, or friend can teach you. Take a moment to think of a time in your life when you willingly followed the direction and or advice of someone you admired and trusted. Someone you felt was honest and credible. Think of the situation, the activity, the problem or task you were dealing with. Was it at work or outside work or even something you were involved with when you were younger? What was your challenge? What did you need to know how to do? What three or four words would you use to describe how you felt when you were talking to or working with this person? How did this person make you feel about yourself? How would you describe how YOU felt when you were with him or her? What actions, behaviors, and nonverbal signals did this person have that may have made you feel this way? Are there things he or she did with their hands or their body that made you tell yourself ’This person has integrity." What did he or she do or say that made you feel that he or she was an honest person? What did he or she do that made you know you could believe him or her? Describe what you remember about your first time meeting him or her. Think about this person you just described as your "True North." A person of Credibility. If you have a" True North" in your life, it is easier to recognize what it's like to be in the presence of someone who truly demonstrates credibility. If you have a "True North," you have a gut feeling when you meet a stranger or when you are with someone. 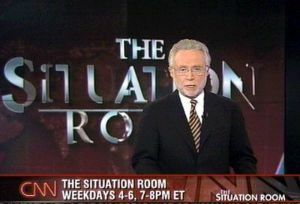 You know what credibility FEELS like. "True North" is a benchmark. Once you know it, you should be able to calibrate within split seconds that "this feels good" or "something is just not right." The key aspect of credibility is Integrity. "What you see is what you get." When somebody is their authentic self, exactly who they are with no façade, you have a visceral feeling in their presence. This is who they are. You believe them from their facial expressions to their actions. If somebody is truly credible, they're often credible to others. When I first started speaking about first impressions, I would ask my audiences, "What is the first thing you notice when you meet somebody?" Remarkably, class after class and year after year, they would share the same answers: trustworthy, credible, authentic, honest, integrity. All of these traits make up credibility. These were the first things they noticed. 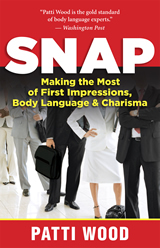 Excerpt from Patti's book, "Snap- Making the Most of First Impressions."